Even if Hitman is one of the most iconic video game series released to date, and the series has a loyal following, not everyone has been fond of the episodic model Danish developer IO Interactive has chosen for this year’s Hitman reboot game. Because instead of releasing a complete game, IO Interactive has put out four episodes of the game so far over the last couple of months, in the same way renowned developer Telltale Games release new episodes of their well-known adventure games like The Walking Dead and their more recent Batman episodic game. 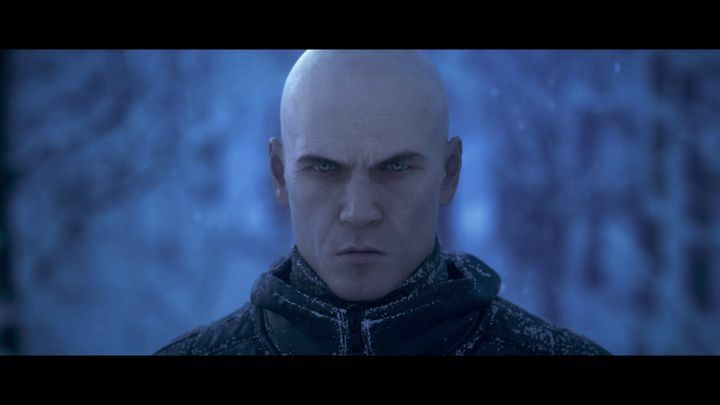 But still, this is a bold experiment for what is a major, AAA game like Hitman, and the truth is that what we’ve seen of the game so far (particularly the superb episode set in the sunny Mediterranean town of Sapienza which was released last April) has firmly put IO’s game amongst this year’s best. It is clear though, that not all Hitman fans have been fond of the episodic release model, and for those looking to buy a traditional game on disc instead of downloading new episodes online once they become available, IO Interactive has announced that they will release a physical version of the game titled Hitman: The Complete First Season on January 31 next year. This edition will not only include all the episodes released so far, including the Paris, Sapienza, Marrakesh and Thailand episodes, and also the two remaining episodes yet to be released this year (which will be set in the USA and Japan), plus three bonus missions including the two which were released in summer 2016. The retail edition of Hitman will also include the game’s “escalation contracts” which are side missions taking place in each episode’s location, plus all “Elusive Targets” which feature from January 31 next year onwards will be available to those who purchase this edition of Hitman. The Elusive Targets are perhaps one of the most novel features of this new Hitman game and also an interesting “live component”, as they are assassination targets that appear in the game for a limited period of time, with players only getting one chance to take them out (renowned Hollywood actor Gary Busey was featured as an Elusive Target in the game last July). 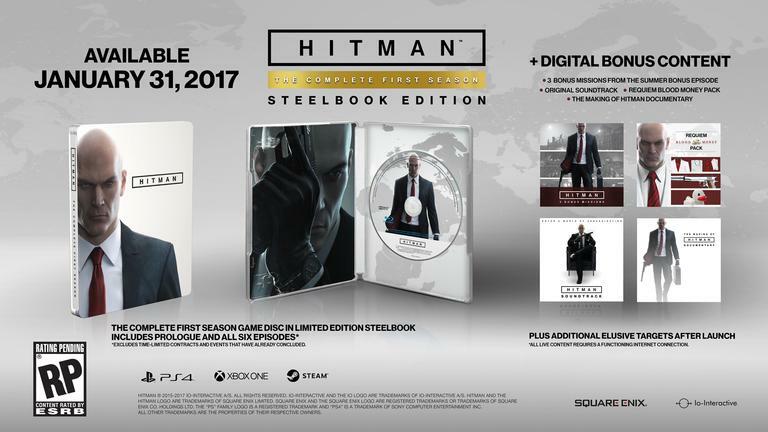 Also, those fond of attractive video game cases will be pleased to hear that this retail release of Hitman will come in a good-looking steelbook case (see image above). So this might be the definitive edition of Hitman that series fans have been longing for, and even though the game is not without its faults, it is clear that this new Hitman game has been one of 2016’s best video games surprises. So hopefully the remaining episodes in the season will be as fun to play as the ones released so far, in a Hitman game that could end up being the best yet since Hitman: Blood Money hit the shelves back in 2006.